At a time when South Africa’s chief power supplier, Eskom is under pressure to meet increasing demands and load-shedding is a reality, businesses are advised to be proactive and look to innovative ways to conserve electricity. Enermatics Energy has compiled a list of tips that are designed to help. Enermatics Energy is an established provider of smart metering technology and a reseller of power to end-users across different market segments. The Company has centralised its resources and applied its expertise to identify three main ways to optimise electricity spend and balance budgets. There are many companies that offer a service to track you energy usage. Measuring is the first step to managing. Electricity is measured in kilowatt-hours (kWh). One kWh is 1,000 watts used steadily for one hour. A typical geyser is 3000 watts. The larger the power rating of your electrical equipment (kW) and the longer you use the equipment (hours), the more kilowatt-hours (kWh) you will consume. If you know what your hourly, daily, weekly usage patterns are, you can start to control your usage. Measuring also helps when you don’t trust your bill or when there’s a risk of being back billed, especially if you utility provider estimates your usage. Most people track their personal spend but have no clue on their electricity spend. Work towards creating an energy budget for your business. To create a budget does need some basic understanding of energy and tariffs. When Eskom announces the price increases, municipalities publish new tariffs. Review the tariffs and understand the tariff options available for your business. To see what tariff you’re on, have a look at your bill. Most bills have your current tariff information. If it’s not there, ask your provider. If you don’t understand how energy tariffs work, ask an expert to help. Ask your local electrical company for a walk through energy audit – this may reveal inexpensive ways to reduce your electricity usage. The appliances that are high-energy users in businesses include lighting, air conditioners, computers and geysers. 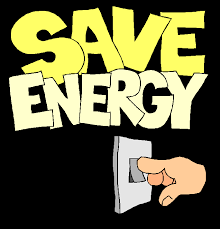 Some appliances can be retrofitted with energy efficient alternative e.g. lighting. If you are fitting new equipment such as air conditioners, ask for their energy rating. Renewable energy alternatives, especially Solar PV is becoming more common. It can help reduce your demand and energy charges and reduce your reliance on the municipality. “It is at this time when electricity supply is at its most vulnerable, when consumers are often left without this absolutely critical resource when energy saving tips can truly help… Enermatics Energy has the resources, experience and expertise to provide invaluable insight and guidance,” says Dr. Raj Naidoo, Director at Enermatics Energy. Established in 2007, Enermatics Energy is committed to giving customers in the public and corporate sectors as well as end-users complete control over their energy usage. The company provides smart metering technology and is a reseller of power to end-users across different market segments. Enermatics smart meters enable users to accurately monitor electricity usage, power quality, and the associated billing. The smart meter provides intelligence which enables users to optimise and improve their overall energy consumption. All Enermatics smart meter solutions are SABS and STS approved and is built according to the stringent Eskom NRS049 Smart Meter Standard. Installations are done through certified installers trained and audited by Enermatics.